You won’t have to pay a penny until the job is 100% complete! Established for over 28 years of continuous trading! WE OFFER THE COMPLETE SERVICE! Exclusively designed doors to suit any home with style and security being at the forefront. Coral Orangeries extending your home to bring the outside in. Roofline & Cladding aesthetically pleasing and maintenance free. Perfect for those seeking an extension in total harmony with their home. At Coral Windows & Conservatories we have the right double glazing products for your home, helping it to look its best and stay warm, quiet and secure. We offer great-looking, energy-efficient, property-enhancing windows, doors and conservatories and all our windows, doors and conservatories are expertly designed and installed and come with full guarantees. There are no deposits or stage payments to be made – you only pay on completion of the installation. This applies no matter how small or large the job, and we offer this service to give you peace of mind when choosing Coral windows, doors and conservatories. 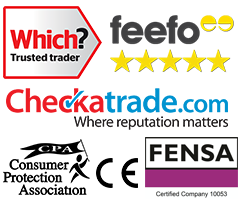 Coral is a Fensa (Fenestration Self-Assessment Scheme) registered company and installs to Fensa guidelines. These state that the original ventilation of a room must not be reduced, but if it achieves the 1/20th rule and has a fire exit within the room the style can be changed. We are also registered with the Federation of Master Builders, giving you peace of mind that we take our work seriously and adhere to strict regulations at all times. Established for more than 28 years, Coral Windows & Conservatories has become a customer favourite and market-leading firm within West Yorkshire and the Yorkshire area. From our humble beginnings we have focused on putting our customers first and providing excellent service. We do not employ “hard sell” tactics and will never talk you into products that are not suitable. Our Coral Mill head office in Bradford is also home to our manufacturing plant and showroom, which is one of the largest in the region. We also have showroom sites across the county including Leeds and Wakefield and strongly encourage our customers to visit us and see how new windows, doors or a conservatory/orangery can transform their home. All jobs, no matter how large or small, are carried out on a no upfront payment basis. 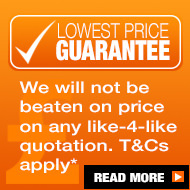 We do not ask for a deposit or cash at certain stages – you only pay on completion of the installation. We believe this gives our customers peace of mind about the quality of our products and installation. We can also offer competitive finance options to help you get the home improvements you desire without the financial strain. At Coral Windows, we can offer monthly payment plans specially tailored to your circumstances!